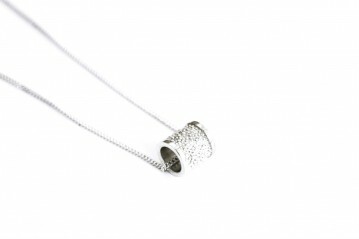 Long chain necklace embellished by black porcelain charms. Elegant and orginal design. Unique piece. 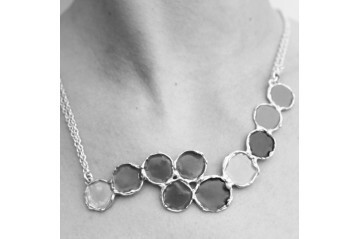 A necklace originated by the influence of the past, morphed into a contemporary jewel. Pendant made of brass, part of the Abbracci (Embrace) Collection. Available in antique brass or green patina brass. 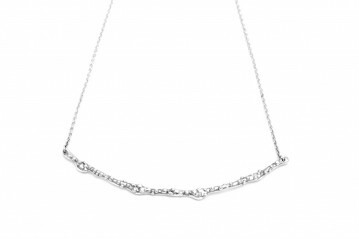 The Ardoise necklace is part of any collection because it’s the first jewel created by Zoé Van Reeth, even before the brand was created. 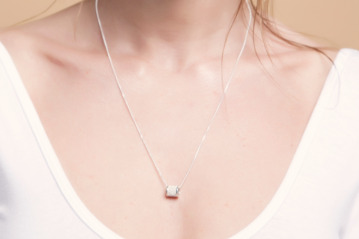 Silver and 3D technique necklace, part of the La Rosée du matin collection. 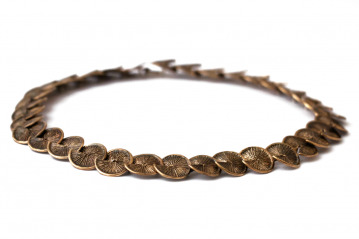 A delicate and feminine fashion accessory. 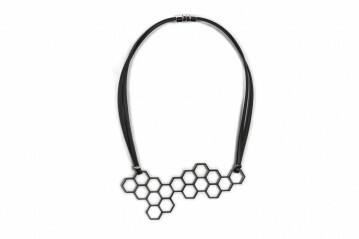 Necklace made by laser-cut stainless steel with an hexagon shape. 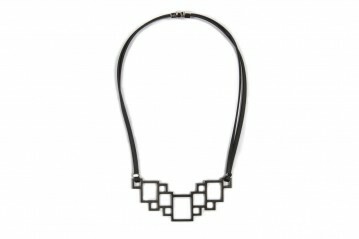 Necklace made by laser-cut stainless steel with a rectangle shape. 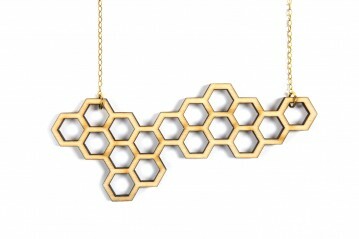 Laser cut wood necklace, hexagon shaped. Silver necklace part of the Winter Marine Collection. A delicate and feminine accessory. 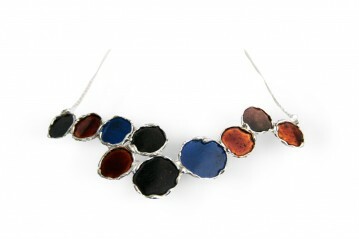 Silver necklace made of 10 circle coloured with a japanese lacquer.